But finding a healthier chip can be a challenge. The good news is food makers know from their own experience that it is time for a healthier chip. These mini vehicles for fun no longer have to be the high calorie, high fat unhealthy bite filling the empty space in your stomach or heart. Cluttered stores and marketplaces make it work to find the tasty, healthy options. We've picked four chips that are tastier, cleaner and easier to shop in bulk quickly without the clutter through the Treatmo Market. Cheese, plus light and crisp flavor make Chirps Chips Cheddar a fun, protein (one cricket per chip) packed crisp to enjoy with or without dip. Get the cheddar flavor you love in a chip in a healthier way. All natural product, no additives or preservatives. Available in bulk on Treatmo. 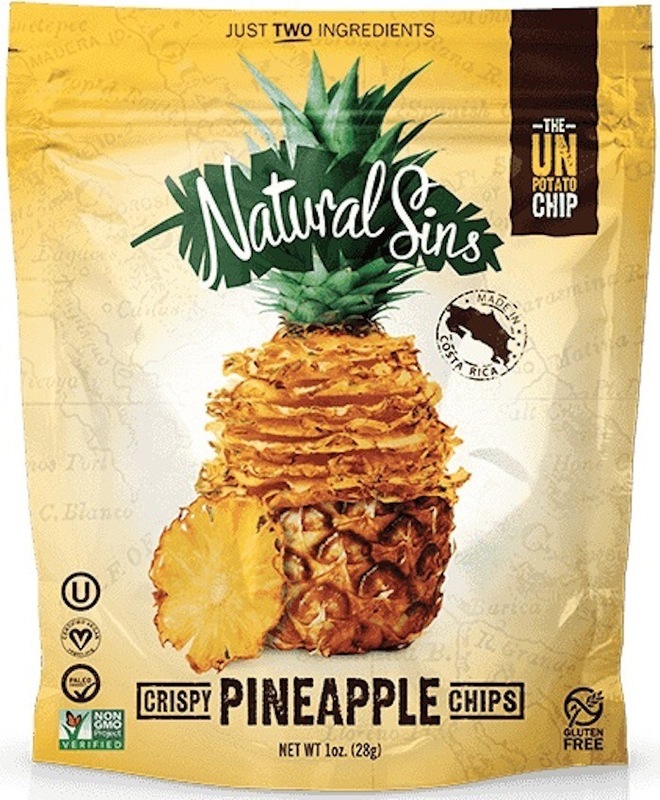 Natural Sins spin on fruit chips is one that is lighter, crisper and thinner -- like a potato chip. With only two ingredients fruit and sugar, this is a 100% natural and clean chip. Available in bulk on Treatmo App. If you're unfamiliar with culinary seawater, it's essentially ultra-filtered, purified seawater that is a table salt replacement. Most highly processed salt used in food lacks the minerals that you can obtain from pure salt. Mediterranea Seawater Company makes 78 trace and iconic minerals available through their seawater which is collected from various locations on the Spanish Mediterranean. The chips are soaked in their seawater before they are fried. They have no dehydrated salt. Their kettle chips are crisp, light and better for you. Try something new. Available on Treatmo App. Only 3 ingredients, no preservatives. It's a toss up between Protes Coconut and Salted Caramel styles. Both are loaded with natural seasonings, protein and flavor. We really LOVE the coconut, but for a true dessert style chip, go for Salted Caramel! Coconut chips pictured in cover image. Don't checkout without it! Shop Treatmo for faster checkout and healthier options at your fingertips! Download for free on iTunes.